Nintendo isn’t pulling any punches with Super Smash Bros Ultimate, filling it with a bulging roster of fighters and a monstrous collection of stages. In fact, every single fighter that has ever featured in a Smash Bros game is back, alongside several new faces as well. To help you get settled in, we’ve been putting together character guides for all 74 fighters in the game. In this Super Smash Bros Ultimate Greninja Guide, we’ll be detailing the changes that have been made since its last appearance. We’ll take a look at the Final Smash and Alternate Costumes as well. Greninja is back for Super Smash Bros Ultimate, having last appeared in SSB4. It is an unlockable character from the Pokemon series, and has proven itself to be a pretty formidable fighter since its introduction. To help veteran fans get to grips with the new changes, and to give new players some vital info, we’ve detailed everything you need to know below. One of the few Pokemon in Super Smash Bros. 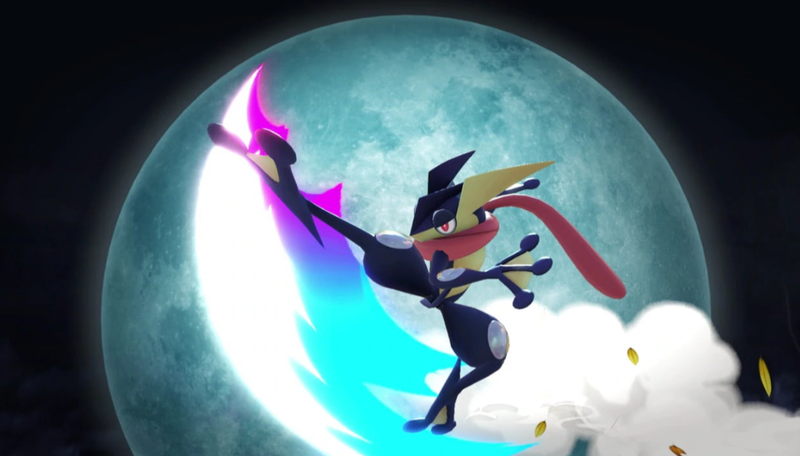 Ultimate is Greninja. In the table just below, you can find a complete moves list for Greninja, including their Final Smash move. Some of Greninja’s animations have been altered including jumpsquat, Dash Attack, Down Smash, and Hydro Pump. Forward Throw does more damage. An arrow appears during Hydro Pump. It indicates the attack’s direction. 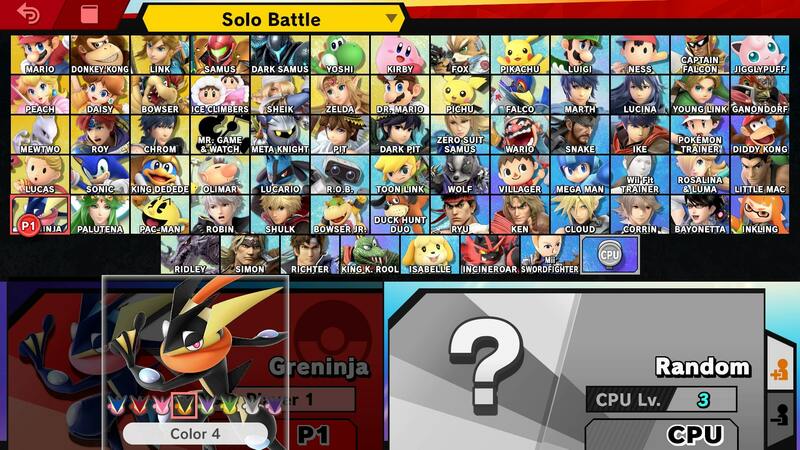 Just like the rest of Super Smash Bros Ultimate’s bulging roster, Greninja comes alongside some Alternate Costumes. red , Pink, Black, Purple, Green, Grey, and Indigo variants are all available. Greninja is using the same Final Smash as last time in Super Smash Bros Ultimate. It’s called Secret Ninja Attack, though there have been some minor changes this time around. 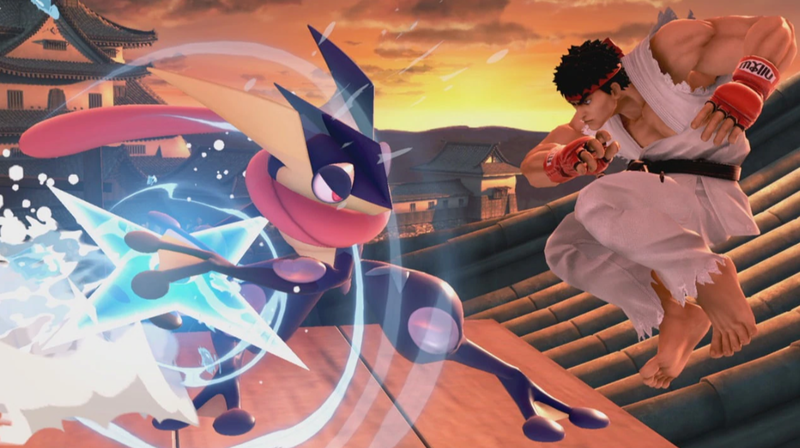 In Ultimate, Greninja changes into Ash’s Greninja to complete the Final Smash. That’s everything we know about Greninja in Super Smash Bros Ultimate. We’ll be adding more info as we get it, but in the meantime you can head over to our Super Smash Bros Ultimate Guides Hub for more info on the game.